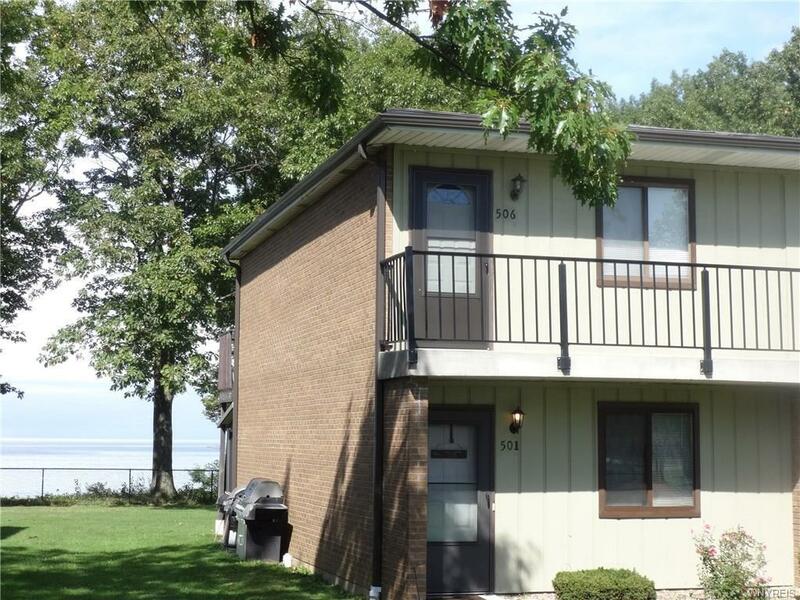 501 Edgewater Drive #5D, Westfield, NY.| MLS# B1157963 | Chautauqua Lake Real Estate Services. Informed, Professional Real Estate Information Serving Buyers and Sellers Interested in Lake Chautauqua Real Estate and Chautauqua County NY Real Estate. Rick and Julia McMahon Real Estate Advantage Since 1992. Wow, nice view of the lake! See it from the living room or the sun room! All first floor living! Current owner has updated the unit over the last 10 years (kitchen and bath). Low electric/heating approximately $10 in summer and about $60 during winter, that's it! Common laundry, enjoy the tennis courts, club house/recreation building and summer time fun with the restored pool! Life is good at the lake! $222 per month maintains the grounds, lawn/snow and covers the water too! Showings begin 11/2. Negotiations delayed until 11/3.